Universal Pictures Australasia presents a film directed by Matthijs van Heijningen Jr. Screenplay by Eric Heisserer, based on the short story "Who Goes There?" by John W. Campbell Jr.
With the creative well running a little dry in Hollywood the multiplex has been overrun with reboots, remakes, sequels and prequels. 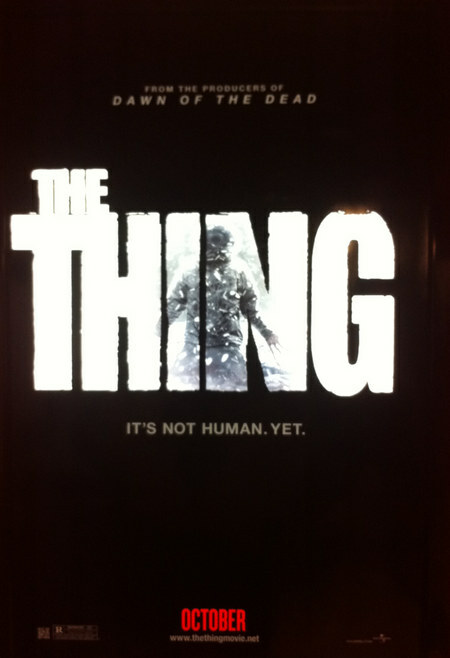 The latest of these offerings is a prequel to the much loved John Carpenter science fiction paranoia classic The Thing. While John Carpenters’ movie was itself a remake of a 1951 film, this time the story delves into what happened before the events in which Kurt Russell's R.J. MacReady battled with the alien menace. The story opens in Antarctica when a Norwegian research team lead by Dr Sander Halvorson (Ulrich Thomsen) discovers an ancient extraterrestrial spacecraft buried deep within the ice. Trapped in an icy tomb near the ship also lies the alien "Thing". Due to her knowledge on all things prehistoric, palaeontologist Kate Lloyd (Mary Elizabeth Winstead) is brought in to examine the discovery. Despite Kate’s professional advice, Sander decides to begin gathering, believing the find is too important to pass off to someone else or to wait. Revelling in their find, the team drinks and celebrates as Kate comes to know helicopter pilot Sam Carter (Joel Edgerton). Their celebrations are soon brought to a frightening close as “The Thing” escapes its frozen shackles to bring a fiery hell to the icy arctic wasteland. The setting of The Thing is one of the most immersing aspects of the film. The solitude makes the horror localised and inescapable. First time director Matthijs van Heijningen Jr. realises this and understands that while his film sits comfortably in the science fiction genre, its beating heart is powered by human paranoia. The look of the film is very similar to Carpenters’ film. The landscape is captured in stark widescreen, while the more human drama and suspense is shot up close and personal. Unfortunately, the action is at times confusing as the scenes are shot close and you don't always see the bigger picture of what is actually happening. This is a common technique in blockbusters and is used to induce a feeling of desperation and violence. However it merely comes off as confusing and messy. The director has also chosen to use the shaky camera technique for the first half of the film. This obvious attempt at trying to add some kind of realism and uncertainty comes off more like a poorly shot episode of NYPD Blue. It is distracting, unnecessarily and detracts from the overall feel of the film. Oddly this technique is dropped when the action, suspense and paranoia sets in. The pace of the film works well and doesn't let you go once the action is underway. Not until the very Hollywood ending do you start to lose interest. A more subtle close would have suited the film. Although fans of Carpenters’ classic will be salivating at the thought of what monstrous creations we will see evolve this time they may be disappointed. Carpenters’ 1982 film was a new benchmark for creature effects by Rob Bottin (with a little help from the master creature creator Stan Winston). With such technical advancements in computer generated technology since the 80's, the director has chosen to use predominantly computer graphics for “The Thing”. This gives greater freedom to the alien menace and its movement but it does feels more detached than having a physical puppet on screen, especially when an actor’s eye line does not meet the creature that is about to bite their face off. There are still some notably gory moments and CGI work. Fans will cheer and the squeamish will bury their heads in the popcorn box when things really get underway. 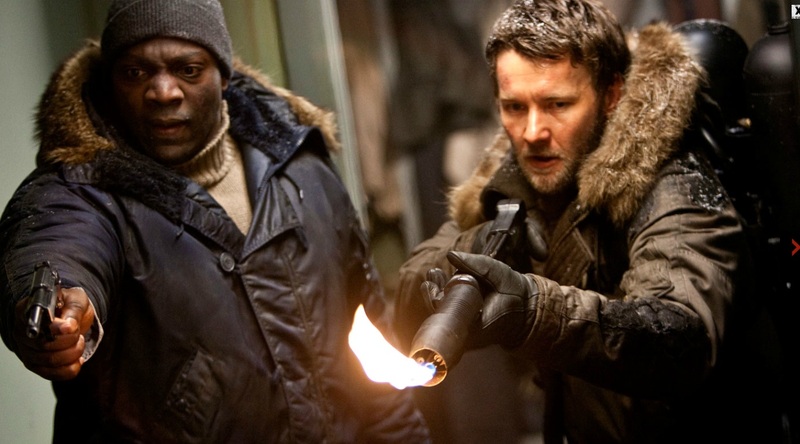 The acting in the The Thing is adequate, while not living up to the original. Some of the paranoia that sets in early is overacted and obvious. Mary Elizabeth Winstead is not strong enough as an actor to carry a film yet. Someone older would have been a much better choice. Despite trying her best to bring a hardened attitude to the role, there is not enough conviction or knowing terror in her performance. In a dull performance, Joel Edgerton brings a bad American accent to a very underwritten role and an misplaced romantic subplot. The supporting cast all do their part but the star of the show is “The Thing” and how it evolves to survive. This film will not be revered in cult cinema circles but The Thing is enjoyable popcorn entertainment. While fans may be let down on some levels, there is still much to keep you interested in watching. Make sure you stick around during the credits for the final part of the story that links the two films together over a very familiar tune.